Picture Puzzles can be of different types. There are picture puzzles in which one has to Find the Mistake in given picture. There are Picture Puzzles in which one is given challenge to read the given text which may be encrypted, written backward, blurred and written upside down. There are Picture Puzzles in which has to find the hidden words. Last but not the least there are Picture Puzzles in which one has find the hidden animals in the given picture puzzle images. Here are the Picture Puzzles of hidden animals to test your observational skills. 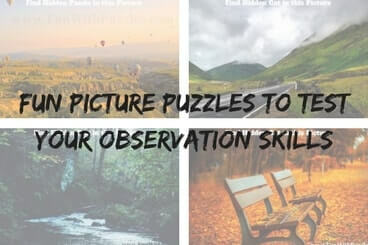 How good are your observation skills? Here is the visibility test for your eyes and brain. Lets test it with the few pictures. In these pictures one has to find the hidden animals in the given picture puzzle image. Name of the hidden animal in the picture is given for most of the picture puzzles. Lets see how good you are in observing pictures? This is the IQ test of your observation skills. Lets start with the easy one. In the following picture Panda is hidden in the given picture. 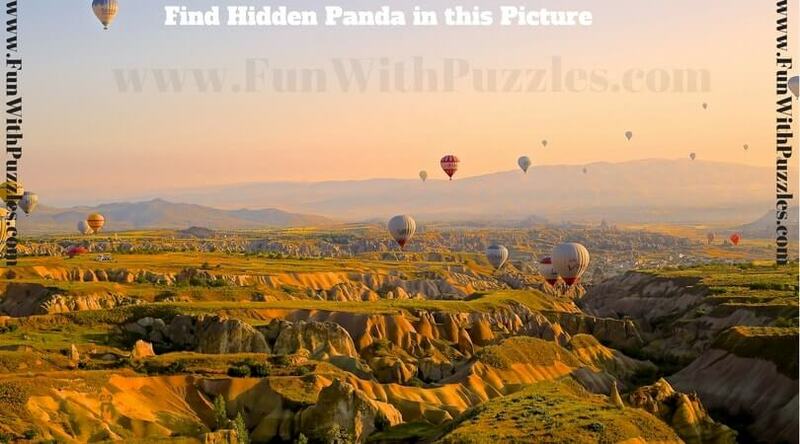 Can you find this hidden Panda in this picture image? This is an easy observation brain teaser to warm you up for the tough observation skill puzzles. Previous one was very easy one and as I told that it was just the warm up easy brain teaser. Lets see how quickly you can answer this tough brain teaser. 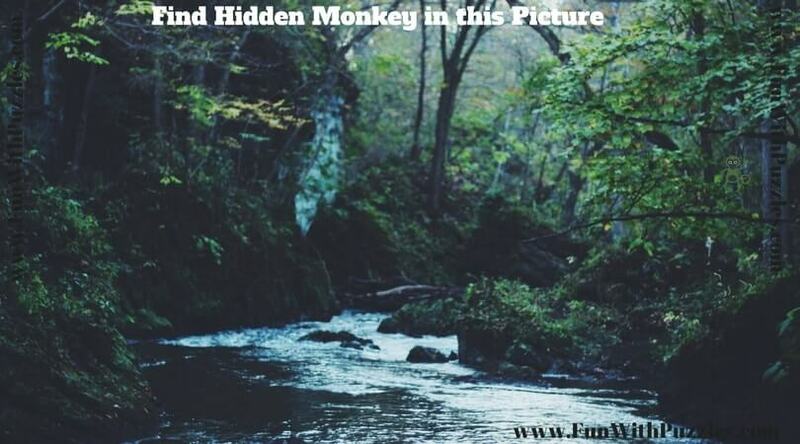 There is one Monkey hidden in this picture. Can you find this hidden Monkey in this picture puzzle image? Lets again move to finding the hidden animal in the picture puzzles. By the time you can now expert in finding hidden objects and observing pictures carefully. 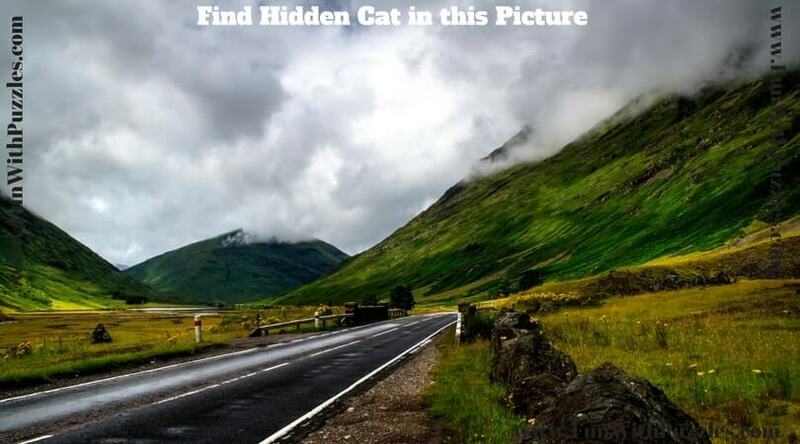 Lets see how fast you can find the hidden Cat in the following picture? One more hidden CAT picture riddle. At the first instance I found very difficult to find hidden cat in this puzzle. However very careful scan of this puzzle picture is required to find the hidden cat in this picture. Lets see how much time one will take to find hidden cat in this picture riddle? 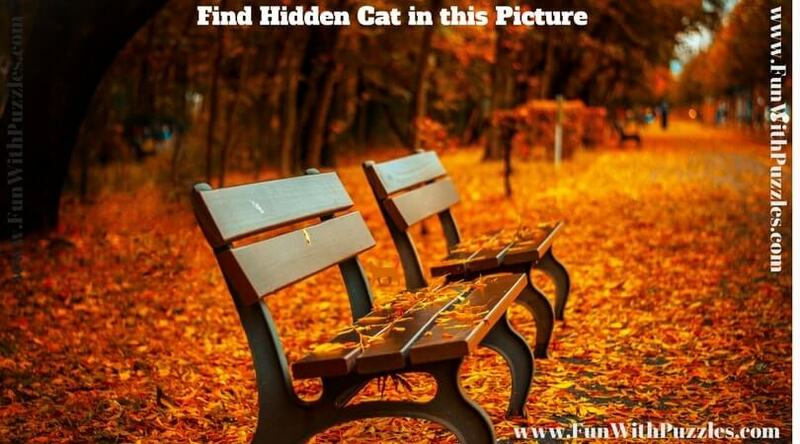 Now the last picture puzzle to find the hidden animal. On the first look this picture image seems similar to 2nd picture puzzle. However it has different animal hidden in this picture. Previous Puzzle Image contained Monkey as hidden animal, but this puzzle picture contain the hidden Dog. Can you find this hidden Dog as quickly as possible. There are many more Picture Puzzles on the website. One can check Hidden Picture Puzzles which contains similar puzzle which which test your observation skill while you find the hidden animals in the given picture images. Also check out readability Test and Try finding Mistakes in the Given Pictures for different types of picture puzzles. 1. Tough Picture Puzzles for Adults: These are the similar Picture Puzzles in which one has to find the hidden animal in the given picture images. However these puzzles are very tough and designed only to be solved by someone with very good observational skills. 2. Eye Twisting Pictures Puzzles: Here is test for your eyes. In these picture puzzles your challenge is to find the hidden letters or numbers in the Puzzle Pictures. 3. Count Number of Triangles: Easy Brain Teasers with Answers: Now its time for some easy Picture Puzzles. In these easy puzzles your challenge is to count the number of triangles in the puzzle pictures. 4. Hidden Picture Puzzles with Answers: In these Hidden Picture Puzzles your challenge is to find the given objects in the Picture Puzzles. If you go to the end of this post, there is hidden answer. You have to click on the link to open the hidden picture. Thanks to your feedback, I not now not hiding the answer image. Solution images to these riddles are now immediately visible in the answer pages. We are in the process of creating video solutions for these observational test puzzles. Soon video link to the answer will be added on this page. I did the Fun Puzzles observation test with animals and tried to click on the answer but it brought me to a different page. How can i find the answer? Please help. To avoid inadvertently looking at the answers, I have separated questions and solutions on different pages and hidden the answers. Please go down to the answer post to find the corresponding solution. Please do comment in case any problem in looking at the solution.